​The decor is an eclectic Pacific Northwest style that makes the most of the beautiful views to be had from each of the four guestrooms. China Beach Retreat is an adult environment. It was in November of the year 1805 that Lewis and Clark closed in upon their ultimate goal. 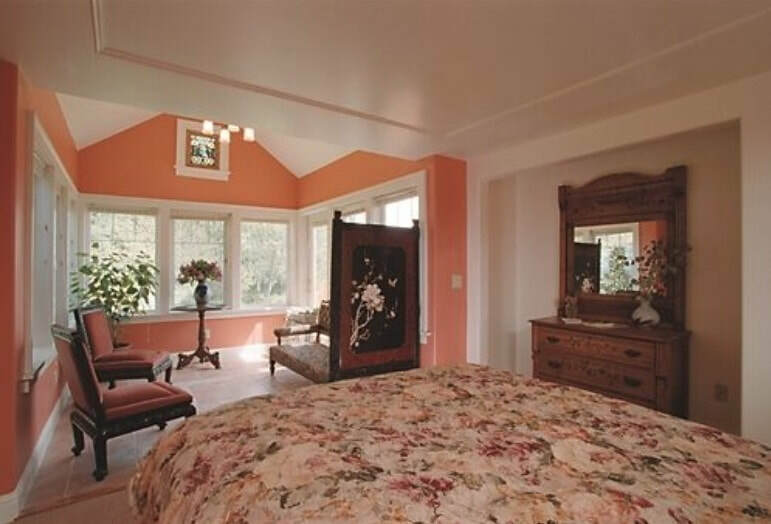 They traversed this property on the Long Beach Peninsula, now known as China Beach Retreat bed and breakfast. To memorialize the words of William Clark, “Ocian in view! O! the joy.” China Beach awaits. ​This Long Beach, Washington vista is yours for the asking. ​David Campiche and Laurie Anderson owned and operated the Shelburne Inn for forty years. They passed the torch of running that historic property to locals, Brady and Tiffany Turner in 2018. They purchased China Beach Retreat in the Spring of 1998. The couple entered innkeeping due to their love of old buildings, antiques, history, gardens, great food (both its preparation and consumption), great wine, meeting people and under the mistaken assumption that they would have plenty of time to pursue their artistic inclinations on the side. David is a graduate of Lewis & Clark College, having majored in Fine Art and Laurie is a graduate of Linfield College. Her major was Liberal Studies. David grew up on The Long Beach Peninsula, and as a result, is a storehouse of local information and history. Laurie was born and raised in Seattle, Washington, and traveled widely until she became stuck in the sand on The Long Beach Peninsula, which is how she met David (he pulled her vehicle out). David is a potter and Laurie is a tapestry weaver. They have three sons. three guest rooms in the main house and the stand-alone Audubon Cottage. Each room offers an extraordinary vista of Baker’s Bay and the mouth of the Columbia River. Cape Disappointment defines the western horizon. Deer frequently visit, asserting their right-of-way in this natural setting. via prior arrangement at an additional charge. The queen bed has been raised on a wooden dais to afford a bird’s-eye view of Baker’s Bay. Witness that dramatic surge of waters that empties here at the edge of the western United States. Each of the bathrooms features an air-jet, hydrotherapy massage tub with combined shower, and is decorated with hand-crafted tiles made by the renowned local artist, Renee O’Connor. Victorian stained glass windows have been added to cast a romantic light. The downstairs suite is the perfect place to unwind. Asian accents add to the serenity of the view. A two-person, air-jet, hydrotherapy massage tub and shower combination completes the job of removing the stresses of modern living. A marble relief panel of the Chinese Goddess Kuan Yin floating in the clouds oversees the effort. The queen bed has been raised on a wooden dais and ample reading lights are built in. 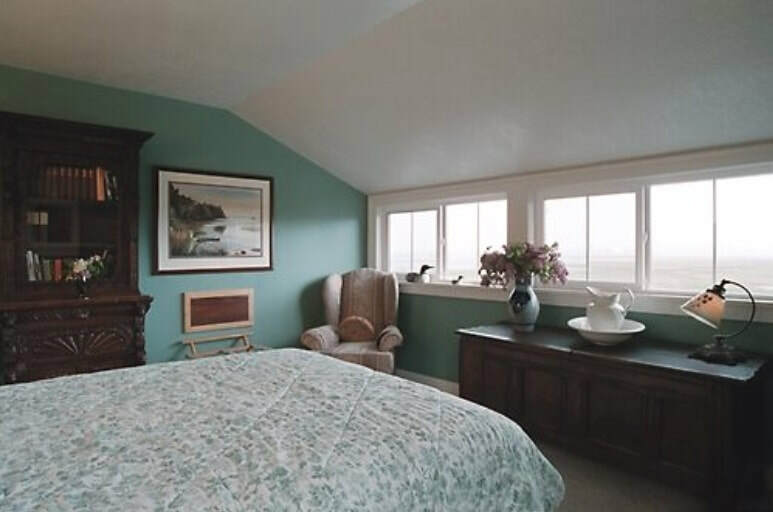 The Audubon Cottage was added in late 2006 and is outfitted for the romantic and naturalist in you, making China Beach the perfect waterfront haven for people and wildlife. The cottage is named after John James Audubon, the patron saint of American ornithologists. Numerous authentic Audubon prints adorn the walls of this peaceful cottage. Downstairs you’ll enjoy the exterior deck with 2-person outdoor soaking tub. The cottage comes equipped with a small refrigerator, microwave, Wireless Internet service, downstairs sitting area, upstairs bedroom with king size bed, 42″ flat screen TV, 2-person hydrotherapy, airjet massage tub.The ultimate coastal experience. $285 per night. ​STAY 2 NIGHTS AND ENJOY A DISCOUNT! (four couples with the Audubon Cottage), October through June, excluding holidays. ​Celebrations come wrapped in many shapes and sizes. We prefer ours small and intimate. China Beach Retreat is the perfect location for a very memorable, intimate occasion. A strong sense of serenity pervades here. The vast, seasonally changing landscape, formed when bay, river and ocean merge, has a mesmerizing effect on the viewer, while it provides a safe resting place for wildlife and waterfowl. Your gathering should not be a hassle. It should be a moment of tranquility and relaxation. That is what we would like to provide for you, and we believe we can, at China Beach. Joy finds expression in many ways. Our staff is friendly, and the property speaks for itself. The front yard is a haven for wildfowl, hawks and eagles. A family of otter lives in the slough that snakes across the estuary, just a stone’s throw from the craftsman-style house. The morning sun rises over the Columbia River and deer often visit the front yard. 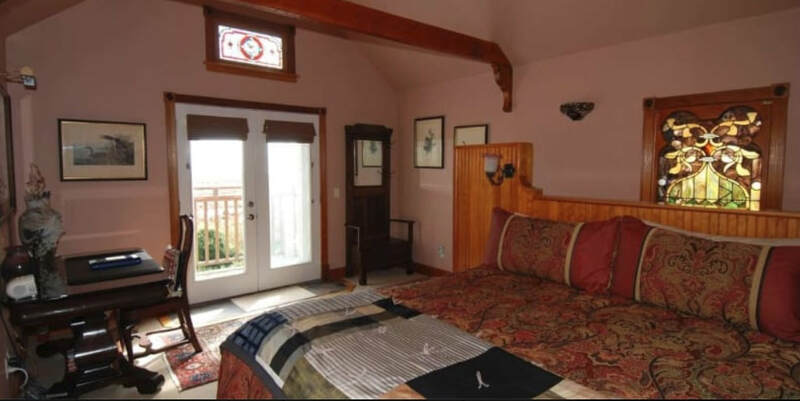 From either of our two upstairs rooms, the Kuan Yin Suite, or the Audubon Cottage a couple can enjoy the abundant water fowl, the lunar swing of tides, a circus of rich color, and the phases of the moon. Discounted group and business rates are available for lodging and dining at China Beach. The lovely craftsman house can accommodate small retreats of up to twelve persons. The property will sleep a total of six people (two per unit). A Pacific Northwest power lunch can be catered during your meeting. The environment and quiet are invigorating, the service, efficient and low-key. Services include bottomless cups of coffee or tea and cookies at snack time. Office and AV equipment is available for a fee. Call soon to schedule your much-needed retreat at China Beach..
Click HERE to check out our special pricing for whole house rentals.